Trip planning is as much figuring out what you DON'T want as what you DO want. Now you need to look at the realities and make sure it's the right destination for you. So let's look at some practical tips for trip planning once you THINK you're done choosing your destination. What will the accommodations really be like where you want to go? If where you want to go is exotic or adventurous... you need to see what your accommodations are like. I've told you that African tented camps are pretty luxurious, but we also took a really affordable safari recently where the tents were more basic. 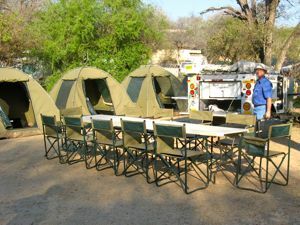 To keep costs down, we camped in Kruger National Park. We slept on cots and walked up the hill to the ablution blocks (that's what they call the central showers and toilets in Africa). We knew that... and chose that for this trip... but you need to know things like this before you book your trip. Are you in shape to handle the hiking or biking? 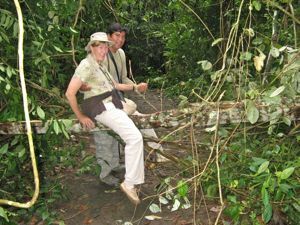 Will that jungle trek be too much? "Mom, can we ever take a NORMAL vacation?" They will probably remember that fondly forever, but would you? Make sure you're prepared... Make sure the kids are prepared if you're taking kids! What if there are snakes and bugs where you want to go? When I talk about a jungle trip or a safari, I tell my sister there are no snakes or bugs - but of course there are. You don't see them often, but yea... there are snakes... and some are dangerous. We were on safari in Tanzania with some friends... and he doesn't like snakes. We never told him about the Green Mamba we spotted slithering under the bushes near his very nice tent in that African tented camp. I can't show you the snake, but I CAN show you where we spotted it... it's just off the path in that photo up there. Some of them are dangerous too, and they're big and hairy and they're called jumping spiders for a reason. 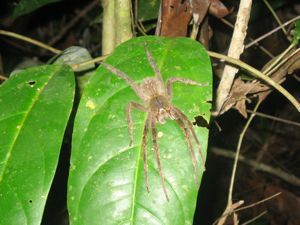 I did just fine with our night jungle walk in Peru where we found the jumping spider, but one time we went for a night hike in the jungles of Borneo... even I gave up on that night walk because of all the leeches. If where you want to go is the jungle, but you can't put up with some creepy crawly things... maybe you need to re-think where you want to go. Can your budget handle that exotic location? Where you WANT to go may be different from where you SHOULD go for your budget. Safaris and exotic locations that seem like they should be cheap are often, in reality, quite expensive. If you KNOW that dream destination is what you want... try to make it fit your budget. We sometimes have to make compromises on accommodations and the length of our trip to make it happen... you can do the same. And if you're just not sure... you can always try a smaller or local trial trip. You can usually find a local alternative to see if you like it... and if you do.... THEN you can save up and go for it! ...Take a short cruise first, see if you like cruising. 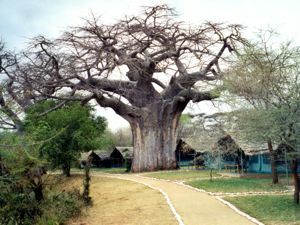 ...Go to a safari park close to home... you can stay in some for a safari type experience. ...Go to a weekend cooking school close to home. ......Are you OK with exercise at high altitudes? Try hiking for a week in the Rockies or the Sierra or the Alps. Having said all this - if you have your heart set on a destination.... go for it. Ultimately you should always go where you want to go. Make sure you're going because YOU want to, not because someone else told you that you just have to try a cruise or a tour to Europe when you'd really rather just go to a local beach or resort. OK... enough with the lectures. You probably have friends and family saying "You shouldn't go THERE."